With 14 years of professional experience and a variety of creative inputs, Tom has honed his craft into a truly unique aesthetic. 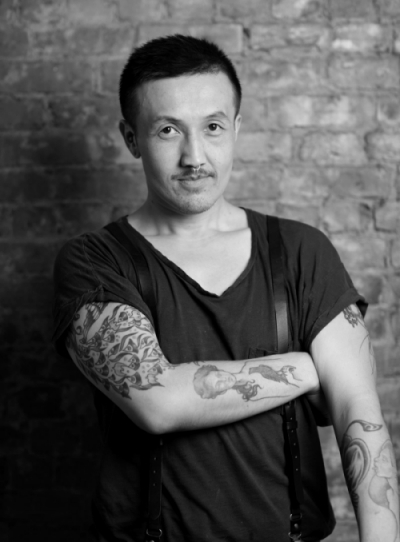 He attributes his technique in cut and color to the education from various leading industry institutions such as TONI&GUY, Redken and L’Oréal Professionnel with nine years of dedicated Wella Education to balance his strategy for cohesion. His drive is to master the translation of the Avánt-Garde to wearable styles, pulling unconventional techniques from his experience with multi-ethnic/multi-textured hair to achieve refreshing and modern results. Inspired by artists everywhere, it is not uncommon to find Tom working alongside emerging photographers and filmmakers, and even on “off-kilter” projects. Once he was commissioned to reshape horse hair into trim for leather satchels and garments for the S/S 2012 Helmut Lang Collection. He also loves creating works of art in bridal and session styling. His clients always cite his eclectic and acutely tailored style and his unmatched ability to balance edge with sophistication. To contact Tom directly, please email him HERE.